We all know how important sun protection has become. It always was important – we just didn’t know that sunburn is a really bad thing and can lead to skin cancers! It’s really easy though to think about protecting your skin when you’re on a sunny beach. It’s not so easy to keep this in mind when you’re surrounded by snow. For obvious reasons. You really must however protect your skin when skiing. Seeing snow makes us think cold, and we don’t associate cold with sunburn. Even if we feel quite warm and the sun is beating down on our face – seeing snow messes up our thinking. It’s not the only problem when skiing either. The altitude that comes with ski resorts means dry air, and drier air can play havoc with the moisture levels in your skin. Then there’s the wind on top of that. You’re up a mountain, potentially skiing down it at great speed – that much wind on your face is going to dry out your skin in no time at all. Pretty obvious. Use it, every single day. Carry it with you, and reapply it regularly. Particularly to your face which is going to be most exposed. Don’t forget your hands though if you’re not wearing gloves. The normal kind of moisturizing day creams that most women use are not ideal at altitude, because they contain too much water (yes, that mysterious ingredient they put on the label as ‘aqua’ that forms the largest percentage of most expensive creams!). You really should be using something with a higher content of fatty oils instead of the water. This will do far more to protect your skin from the dry air and the wind chaffing. That high water content can freeze in the cold air and do more damage to your skin than good. This kind of cream can be a bit of a problem if you suffer acne though. Normally you’d choose a noncomedogenic moisturizer (i.e. non-pore blocking), but we’re trying to give your skin extra protection here with heavier creams. One thing you can try is the approach Acne System Reviews recommends. This type of more holistic approach can and often does really work. You’ll also need to be careful with any acne treatment creams you are using as these can dry skin further or make them more sensitive to sunlight. Whatever you do, talk to your dermatologist about this well before travelling to get the best personal advice. At the end of the day, don’t just forget all about your skin. Apply a good generous helping of a typical after-sun lotion. This will help prevent dehydration and give your skin a chance to repair overnight. Before you assault it all over again on the slopes the next day :-). Oh, and drink plenty of water. Apres-ski does tend to involve a few drinks which is fine, but don’t forget the alcohol dehydrates your body. Your skin is going to really feel that, so take care to keep hydrated. Nobody tells you this, but don’t put anything else on your skin. The chemicals and in particular alcohol in perfurmes, aftershaves and fragrances will not do your skin any favors at all. They can also interact badly with your protection creams so ideally don’t use them at all. If you really must, carefully spray away from you only onto your clothes before you put them on. Dermatologists strongly recommend that you protect your skin and take skin care while skiing seriously. Women get this more than men – but guys, seriously, even James Bond would be protecting his skin from the elements these days. So don’t get all macho and say this is not for you. It applies to everybody. Stick with these tips and they should help to protect your skin when skiing. Meaning you should come back from your skiing holidays with a healthy glowing complexion – instead of that reddened, dried out flaky look that isn’t quite so attractive. A lot of skiers dream of unlimited, uncrowded and powdery slopes. 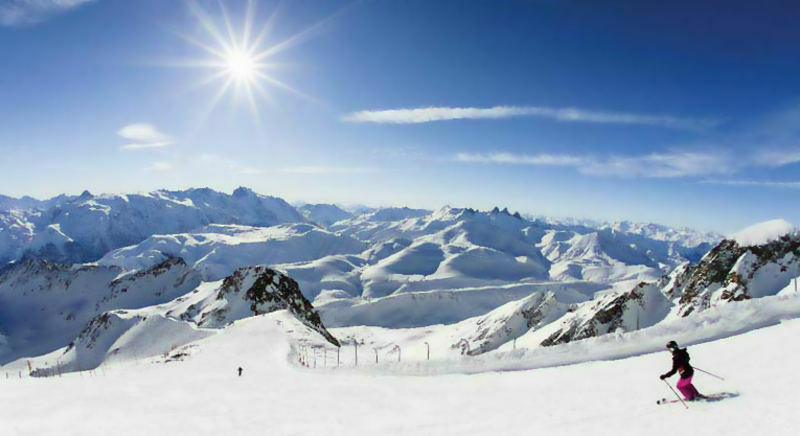 Méribel, situated at the heart of Les Trois Vallées is the world’s greatest ski location. Méribel’s hotels have actually been built specifically for skiers and also are interlinked with all various other hotels in Les Trois Vallées, so that one ski pass provides access to over 180 lifts and also more than 600 kilometres of ski runs. Plus 120 km of cross-country trails. Winter sports does not get any type of better than this! NordicTrack began in 1975 under the name PSI NordicTrack Inc. by Edward Pauls in Chaska, Minnesota. Pauls created ski boots for Rosemount, Inc. based in Minnesota. He’d actually studied mechanical engineering, and when the Rosemark Firm enclosed 1969 he began to concentrate completely on his own developments. He designed and patented outrigger type skis for disabled skiers. Throughout a damp and also nasty training session the concept for the NordicTrack ski device was designed. Pauls was an avid cross country skier, and he believed that he can duplicate the motion indoors to make sure that others could train on a monthly basis of the year. He then coordinated with nationwide college cross-country skiing champion and also little girl Terri to ensure that she could ski all year as well as obtain an edge against her competition. His style combined wooden skis with a trademarked fly wheel as well as one method clutch mechanism. After severe passion in his brand-new product, he after that spent his own money and began producing the NordicTrack cross-country skier. All of us recognize that we have to exercise (for our health and wellness) yet going to the gym at the crack of early a.m. or right after your job can be anything BUT enjoyable. But still everyones says that staying fit SHOULD be fun, by simply discovering the ideal routine (as well as activity) for you. 1. Hoofing It: Running is one of the most prominent activities for all ages, especially since walking is something the majority of us “have” to do, as well as since neither needs any type of unique tools. And also that strolling is an exceptional activity for health and fitness wannabes of any age. Also those that might have heart conditions or various other disorders. Plus you can do it inside, outdoors, or on a treadmill, the essential thing is that you keep moving. Running will melt two times the quantity of calories as strolling however is also harder on your heart, joints and also muscles. And for those currently off to a running begin, make certain you buy the best shoes you could afford and that your shoe fits as well as properly fits. If you are seeking an excellent means to please your family members, a ski vacation is the best selection possible. Ski vacations are chill out time for the entire household. And you can take pleasure in the numerous winter season sporting activities like skiing, snowboarding, sledding and tubes. 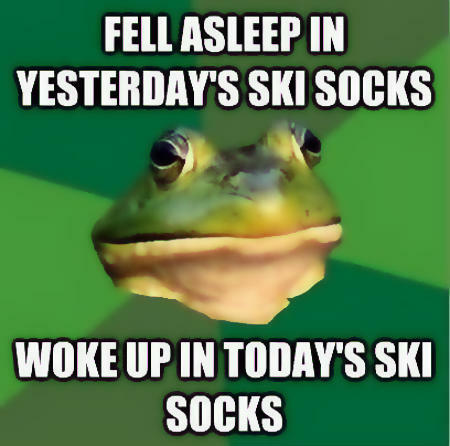 Ever Fallen Asleep In Your Ski Socks?